Barcelona is Europe's favourite destination for weekend trips and a popular stop for colossal cruise ships. The housing crunch and other problems caused by mass tourism have given rise to a wave of local resistance. Much has been written about the gentrification and touristification of all the major European cities. But Spain, and above all Barcelona, are particularly hard hit. There are many reasons why. When the property market crashed in late 2008, many investors went bankrupt, but families bore the brunt of the crisis. 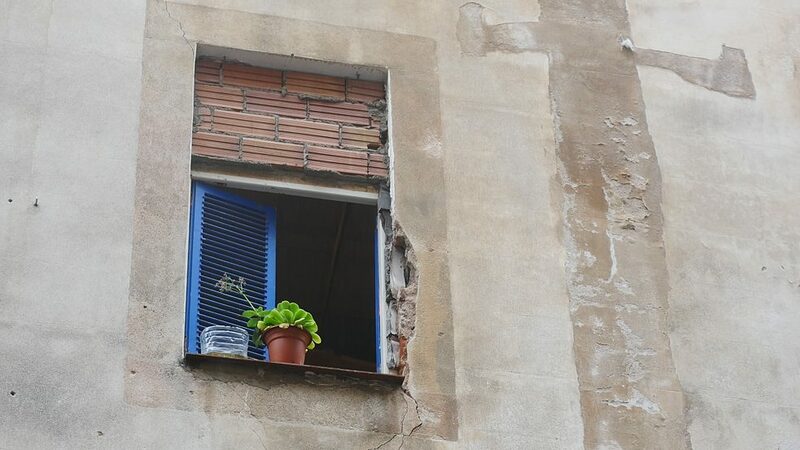 In 2012 and 2013, a tenant was evicted from their home in Barcelona every 15 minutes. The whole housing situation has radically changed ever since. The crisis left thousands upon thousands of vacant apartments in its wake. According to a census conducted by the city administration in November 2016, roughly 80,000 apartments in Barcelona are unoccupied. As most of the devalued apartments are located in parts of the city that attract tourists, they get bought up by investment funds, which means they are withdrawn from the regular rental market. And yet at the same time, the spread of social precariousness is driving up demand for rentals. According to the property website Idealista, rents in Barcelona rose by 59.2% from 2013 to 2017. Meanwhile, given the attractiveness of this city on the Mediterranean, legal and illegal rentals to tourists are spreading like a cancer. A tool made available by the NGO Inside Airbnb provides a graphic look at this vertiginous proliferation in recent years. Of the 17,369 rentals currently advertised in Barcelona, 4,078 are located in Ciutat Vella, Barcelona’s historic city centre, 45% of which are not just rooms but entire apartments to let. The fluctuating population now exceeds the resident population in Ciutat Vella. With 5,607 ads, the adjacent Eixample neighbourhood offers the most rentals, 54% of which are whole flats. "We are currently seeing a wave of housing speculation and commercialization in Barcelona, primarily in the rental sector, whereas speculation previously targeted mortgages," explains Daniel Pardo of ABTS, the Neighbourhood Association for Sustainable Tourism. "This has driven residents out even faster and more brutally, while giving rise to a new resistance," he adds. We meet up with Daniel Pardo and Mariona Roca Tort in La Negreta del Gòtic, a self-governing community centre. The resistance he refers to takes the form of countless citizens' initiatives and organizations. And it’s boosting the firepower of already established groups like the PAH (Plataforma de Afectados por la Hipoteca/Stop Deshaucios), which was set up in response to the wave of foreclosures following the mortgage crisis and fights to keep people from literally being thrown out of their homes, as Daniel explains. The PAH is something of a role model for many new initiatives. Other organizations operate city-wide, such as the recently formed tenants union, el Sindicat de Llogaters, and the aforementioned ABTS, which coordinates about thirty urban initiatives and seeks solutions to conflicts caused by the tourism industry, which “intensively exploits the city and its inhabitants”, as Daniel explains. “This is reflected most conspicuously in the displacement of local residents, but also in the casualization of work. Through job market specialization, it offers the worst conditions and lowest wages in the whole city." In Barcelona, where the pressure of international real estate speculation and the tourism industry has caused a huge rent hike, Catalans have to spend more than 46% of their salaries on rent nowadays, even 65% for people under 35. The average figure for Spain as a whole is only 31%. And there’s no end in sight to the inflationary spiral. 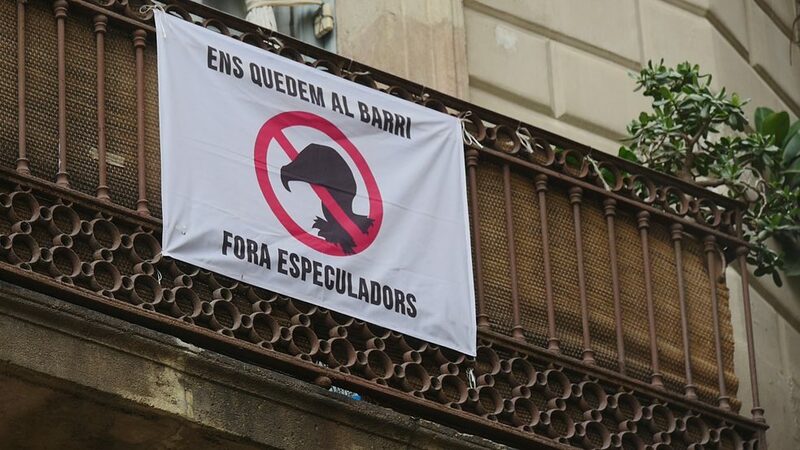 This housing crunch led to the formation of the tenants union, el Sindicat de Llogaters, in May 2017, which advocates for "decent housing" and for giving Barcelona’s tenants a say. "Our campaign is called ‘We stay!’” says Sindicat de Llogaters spokeswoman Marta Ill. It isn’t only in the touristy old town or now fashionable districts that Barcelona’s resident population is being displaced: this is a city-wide problem. And the housing crunch is particularly severe for young people who don’t own a flat and won’t be able to afford one anytime in the foreseeable future now that property prices are going through the roof. On an interactive map, the tenants union shows that a mere 15 real estate funds own three thousand flats in Barcelona alone. The Spanish law on urban rentals (Ley de Arrendamientos Urbanos, LAU) needs to be changed to discourage speculation in Barcelona. This law is partly responsible for the dire housing situation because it allows landlords to terminate a lease or increase the rent at will every three years. Recently, the Generalitat de Catalunya (government of Catalonia) provided a breakdown of comparable rents for each neighbourhood, but, much to the disappointment of the tenants’ initiatives, these figures are not binding on landlords. "Most of all, we try to encourage people to fight back," says Marta: in other words, to stay in their homes even after the lease expires. "Technically speaking, this is known as ‘vivir de precario’. And formally speaking, they’re not squatters, they’re ‘living precariously’, outside the lease." They are not considering the kind of rent strike, that once paralyzed the whole city of Barcelona back in 1931. "Litigation costs are very high nowadays and the tenant is likely to lose," explains Marta. "That's why we pursue a different strategy: some landlords in Barcelona own whole blocks in various neighbourhoods. We pool a given landlord’s cases and, depending on how the negotiations go, we can threaten him with a rent strike." At the moment, the Sindicat recommends the strategy of a “Japanese-style” strike: "Although the lease has expired and the owner no longer accepts my rent payments, I still pay into an escrow account,” Marta explains. “So when he throws me out, I can say I’ve always paid my rent and he can't evict me." 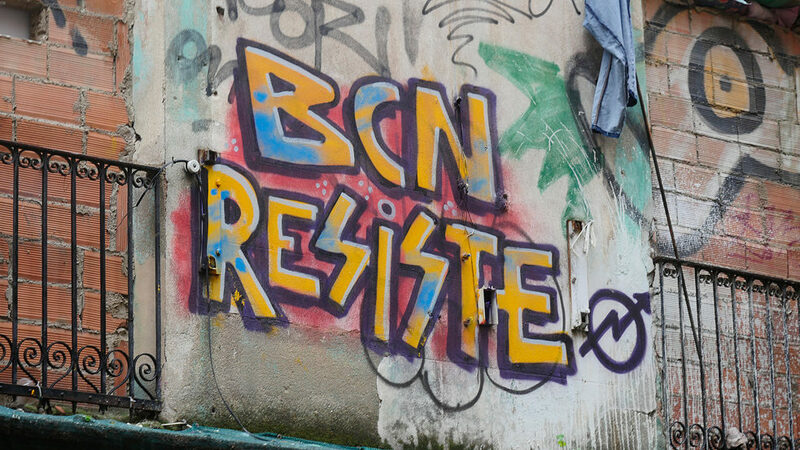 Given the city’s long-standing tradition of rebellion, says Iñaqui García, there’s no need to teach the Barcelonese about resisting. Iñaqui and his bookshop are an institution in the Raval neighbourhood. It has been here for thirty years now, a libertarian collective in the middle of Barcelona's former red-light district. This is headquarters for the resistance. For example, if an eviction is imminent, a WhatsApp message is posted the day before, and activists gather at the eviction site to prevent it. This can usually be done two or three times. But it gets more confrontational each time, with an ever heavier police presence. Squatting is one way to fight back and exert pressure on the powers that be. For most activists in Barcelona, it’s an important weapon in the struggle for fairer social conditions. "I was involved in the Lancaster project from the get-go," says Jarek, a young Polish activist who’s been living in Barcelona for seven years and has come across a wide range of social movements here. "It used to be called Guernika. We occupied it to make it a social facility for families at risk of being social marginalized." 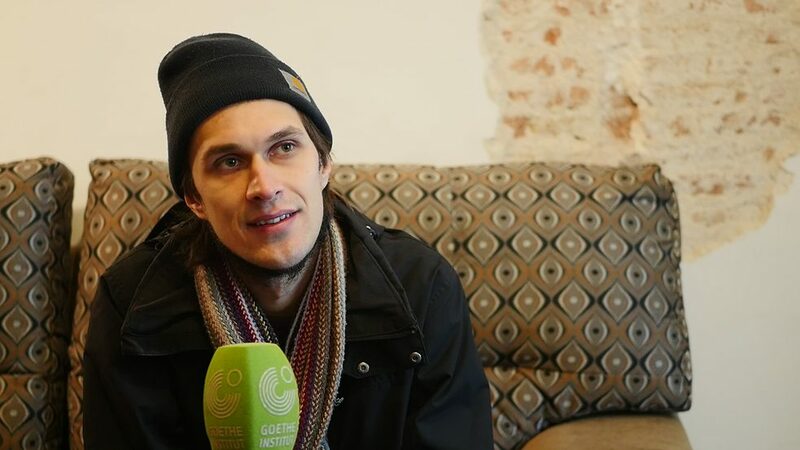 Jarek, a young Polish activist, who’s been living in Barcelona for seven years, in an interview about the squatter scene in Barcelona. Jarek doesn't look like your garden-variety squatter. He looks sensitive, gentle, but you can see the fighting spirit in his eyes. La Calle Lancaster is a street that runs parallel to La Rambla, the main tourist drag in Barcelona. The buildings in Lancaster Street were completely neglected, some didn’t even have running water till seven years ago. The campaign was successful and the city took over the three buildings concerned, Lancaster 7, 9 and 11. So locals conduct caceroladas, banging on pots and pans in noisy protest to call attention to the problem and show the dealers they’re not wanted in the neighbourhood. They call on the local authorities and the police to take action. The activists demand that bank-owned apartments that have been salvaged using public funds be converted into social housing. In February 2018 they received support from Rafael Ribó, the Síndic de Greuges de Catalunya (i.e. ombudsman) . 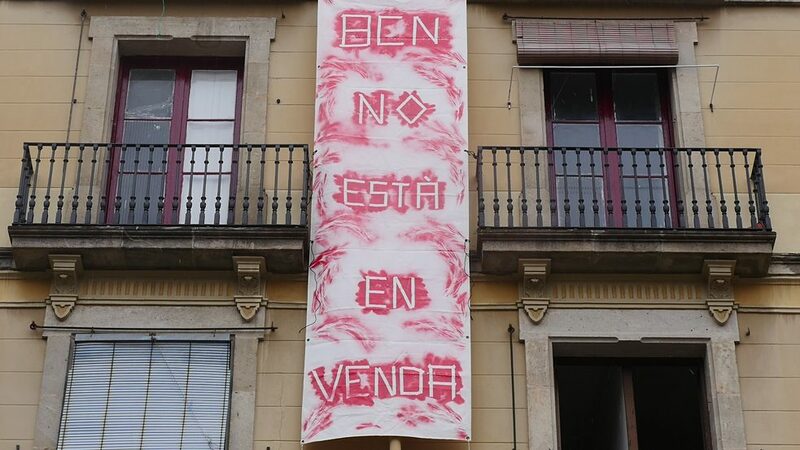 Ribó would like to turn at least 30 percent of the properties owned by the "bad bank" Sareb into social housing. After all, the city has a list of 59 thousand applicants, lots of homeless people and a wholly inadequate stock of social housing that barely comes to 1.5% of total housing units. The city is confronted with all these problems. Local councillor Gala Pin goes from one meeting to the next, explaining the government's multipronged strategy to fight speculation and change the existing model of tourism – in other words the very measures with which BCNenComú seeks to counteract the gentrification spiral. Gala reels off a whole string of possible measures: cracking down on landlords, blocking renovation whenever residents are evicted and enforcing their right to return to their homes, acquiring property, creating social housing... "We purchased Lancaster 7-9-11, for example, to protect the residents." And then there are the medium-term measures to combat speculation: ceding public properties to promote cooperative housing and other models that involve working with private-sector investors who are interested in long-term returns. A "first-aid scheme" has been launched to transform Barcelona’s tourism model. The municipality has just invested €2.4 million in a "neighbourhood plan" to alleviate the massive impact of mass tourism on the city centre. The measures include everything from installing public toilets to hiring auxiliaries in public areas to make sure tourists observe the rules of peaceful coexistence. Bit big stakeholders like the port of Barcelona represent formidable obstacles to efforts to get a grip on mass tourism. More than half of cruise tourists spend only four hours or less in Barcelona. They flood the city and nurture a specific tourist market with their sporadic sprees of mass consumption. "To me it's a plague of locusts!" gasps Gala. "We’ve got to get stakeholders who promote tourism to accept their fair share of responsibility," says Gala Pin. A lot has changed in Barcelona under the administration of the Barcelona en Comú party. Ada Colau has restricted licencing of tourist rentals and won a first battle against Airbnb. In August 2017, as a result, over a thousand illegal rentals had to be removed from the website. The city is also pre-empting plots of land and buildings that are in need of renovation in order to divide them up into housing units or convert them into community centres . 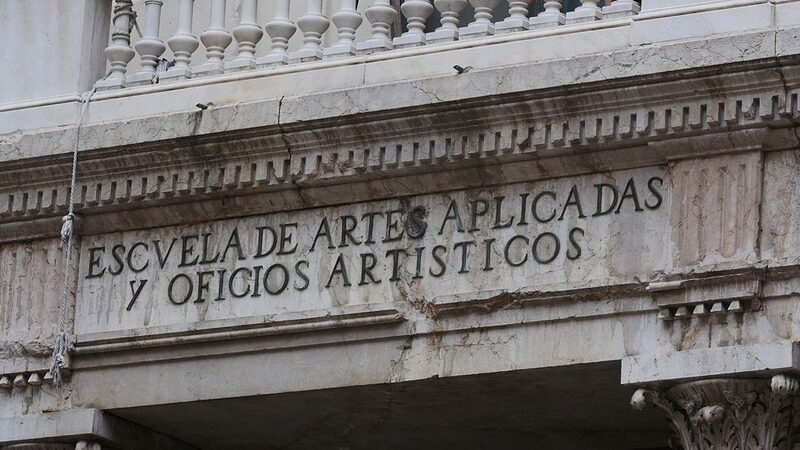 The city is now renovating El Borsí, for example, a former casino and landmark building in the Gothic Quarter (photos), and the Arnau theatre in Paral.lel Street, which has been going to seed for 18 years now . The Calle Lancaster renewal project is another success. Daniel Pardo acknowledges that at least City Hall’s rhetoric has changed. And all the activists agree that the Colau administration is on the right track. And yet in the current crisis, all these measures still seem but a drop in the ocean. That’s why the initiatives continue to bring pressure to bear, which is exactly what the city administration needs, insists Gala Pin. "The only reason we’re able to change the laws is because residents are mobilized!" Policymakers need a strong and rebellious civil society to stand up to the private sector. is an ethnologist, editor and freelance author. She is based in Sitges (Catalonia) and Munich. She researched the housing situation in Barcelona together with Lupe García and Robert Esteban.